The United States government is currently applying sanctions to Cuba, Iran, Russia, North Korea, Syria, Venezuela and Zimbabwe. Last week, on July 27th the US Congress moved to include Nicaragua too. Apart from these sanctions, the US is also enforcing a variety of sanctions in relation to Belarus, Burundi, Central African Republic, Democratic Republic of the Congo, Iraq, Lebanon, Libya, Somalia, Sudan, South Sudan, former Ukraine and Yemen. Some of those sanctions are supported by the UN but, in any case, US allies cooperate applying sanctions in a selective way to suit their own interests. At the highest level, Western strategic thinking in general and US policy making in particular is intellectually and morally corrupt, narcissistic and irrational. Corrupt, because it is so deliberately intellectually ingrown and materially self-serving; narcissistic because it cannot engage other legitimate rationalities; irrational because it operates on the basis of “with us or against us” paranoia. The recent US Department of Defense report “At Our Own Peril“ is the clearest expression of that reality. US planners really believe that following World War Two the US and its allies shaped and controlled a benign world order and that currently the US and its allies abide by and defend international law. They also assert they project a legitimate, truthful account of world events. Given these insane false beliefs underpinning Western strategic planning, actual and potential targets of Western aggression are bound to work out active measures and alliances based on realistic self-defense. For the foreseeable future, demented Western foreign policy is in a stage of aggravated desperation as US policymakers adapt to what the DoD report says “can only be described as the early post-U.S. primacy epoch…..This new reality has far-reaching implications for American defense policy, strategy, planning, and risk calculation.” Among the factors contributing to the new risk environment, the report highlights “the weaponization of information, disinformation, and disaffection.” US military leaders now believe they are already losing their long taken for granted global ideological dominance. In this context, reality has definitely caught up and overtaken the wishful rhetoric of the Western corporate elites, their carefully groomed governments, their inept, dysfunctional financial system and, perhaps most clearly of all, their dishonest, counterfeit media. In all of these arenas, strategic analysis, economic policy, news reporting, financial dealings, across the West Gresham’s Law has operated relentlessly, with bad practice forcing out good, progressively exposing the falsity and corruption of Western society under corporate capitalism. That falsity is most immediately obvious in Western information culture including not just mainstream and alternative media, but also reporting by governments and non-governmental organizations. The crumbling legitimacy of the US government and its allies in the European Union is reflected in the blatant false witness of Western news media and the non-governmental organizations which have now largely displaced legitimate foreign news reporting. Few dispute that Western monopoly corporate interests, control and shape government policy as well as mainstream and alternative news media. Less self-evident is the way those elites and their proxies in government promote “the weaponization of information, disinformation, and disaffection” via humanitarian and human rights NGOs. The campaigns led by NATO powers in 2011 against Ivory Coast, Libya, Syria share the same psy-warfare characteristics used against all the countries targeted by US sanctions. Right now, Venezuela is the target at the most vulnerable stage where a shift could happen very abruptly from current low-intensity NATO country covert, diplomatic, economic and media warfare to outright military aggression either direct or by proxy. Ever since the 2002 coup, opposition non governmental organizations have been key players in destabilizing Venezuela falsely exploiting the motifs of human rights, corruption. They have done so with consistent support from Western NGOs like Human Rights Watch, International Crisis Group, Transparency International and many others. 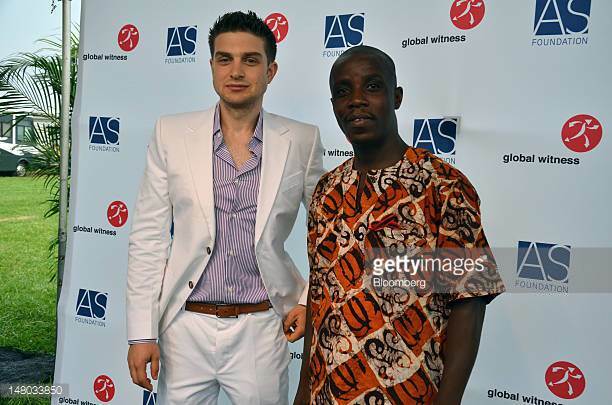 “Alexander Soros and Silas Kpanan’Ayoung Siakor attend The Alexander Soros Foundation’s Global Witness ‘Unmasked’ Gala on July 7, 2012 in Bridgehampton, New York.” Source: Getty Images [Further reading]. In Nicaragua’s case the decision to introduce the so called NICA Act applying economic sanctions against the country was preceded a month earlier by publication of a report from the Global Witness organization falsely alleging that Nicaragua is the most dangerous country in the world for environmental activists. 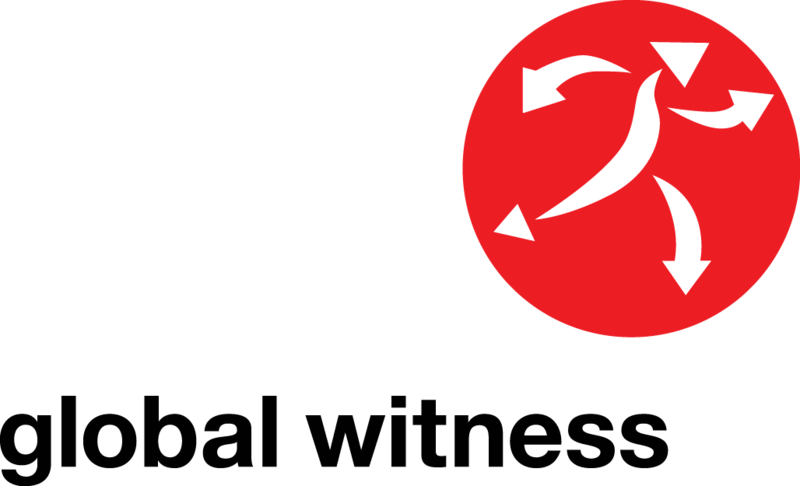 In 2016, Global Witness had a budget of over US$13 million, receiving US$3.4 million from the George Soros Open Society Foundation, US$1.5 million from Pierre Omidyar’s Omidyar Network, US$840,000 from the Ford Foundation and over US$3 million from European NATO governments plus Sweden. The Global Witness Board and Advisory Board and CEO are all luminaries from the Western elite non governmental sector. Despite these tremendous material and human resources, the Global Witness report in relation to Nicaragua is inept, poorly researched and downright inaccurate, as occasional Guardian columnist John Perry, among others, has explained. In 2016, Global Witness brought out a similarly false account of problems in Nicaragua’s northern Caribbean Coast. But traditional reporting methods, like cross-checking sources or comparing competing accounts of events, are irrelevant for weaponized NATO country news media and the disinformation NGOs they increasingly rely on for foreign news. 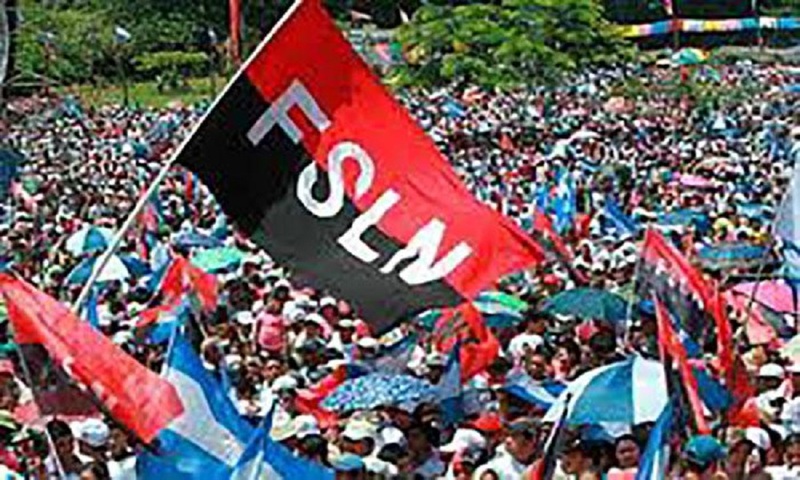 Now a decision has been taken by the US elites to attack Nicaragua, the campaign may well unfold with sanctions steadily being ratcheted up, damaging the same Nicaraguan people these phony Western advocates of human rights claim they want to protect. That is what has happened to Cuba for well over 50 years. More recently, those same Western elites and their advocates have supported the corrupt oligarchs and Nazi shock forces who destroyed Ukraine. They supported equipping, supplying and training the organized crime gangs and pseudo-Islamist terrorists that destroyed Libya and Syria. They give support covering up the crimes of fascist Venezuelan paramilitaries setting people on fire and attacking hospitals and preschools, just as they did the massacre in the labor union building in Odessa in May 2014. Morally, intellectually, ethically the Western elites are worthy successors to their genocidal colonialist forebears using the same bogus claims of moral and cultural superiority to justify their crimes. The false witness of their media and their NGOs is a clear signal they know they have no legitimacy. BLOOD DIAMOND DOUBLETHINK & DECEPTION OVER THOSE WORTHLESS LITTLE ROCKS OF DESIRE | Rick Hines & Keith Harmon Snow, Part One (June 1, 2007).